Many a professional athlete or team has heard the term “fear no team” or “make them play your game” or “bring the game to them.” Unfortunately, during the first half of the Nets’ game against the Golden State Warriors on Sunday at the Barclays Center, the Brooklyn played as though they didn’t get this directive. 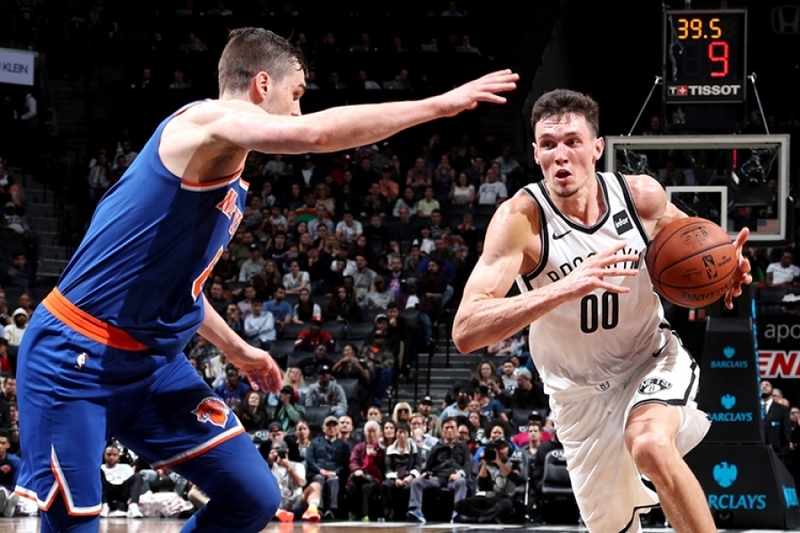 The Nets ended the first-half down 22 points with the score 64-42; and slipped to a 28-point deficit (78-50) with 8:34 left in the third stanza. No disrespect to the home team because despite serious injuries to its top players D’Angelo Russell and Jeremy Lin, the Nets are showing flashes of brilliance, most recently with its win against the Utah Jazz and the second half of this game against the Warriors. The cause of the first-half free-fall is bewildering, but Nets forward Rondae Hollis-Jefferson says it was, “energy”. But then suddenly, a switch was turned on and Brooklyn miraculously outscored the Warriors 42-34 in the third quarter. Those 42 points marking the most points the Nets have ever scored in any quarter this season (previous high: 39 points in the first quarter in its last game vs. Utah on Friday). Overall, the Nets outscored the Warriors 69-54 in the second half. 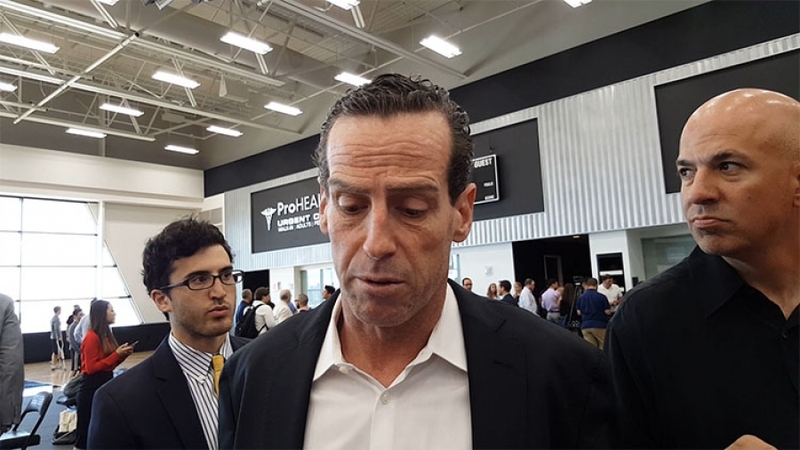 Even Nets head coach Kenny Atkinson couldn’t put his finger on what happened to make this game a tale of two halves? 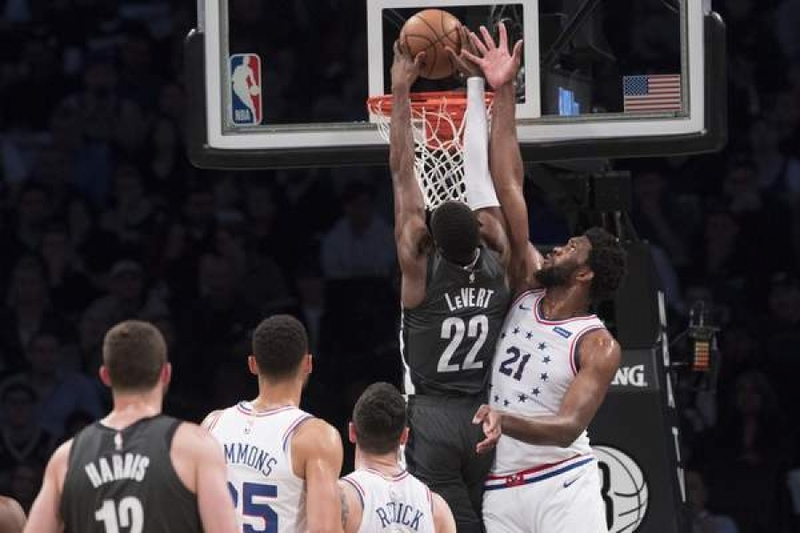 Energy and spirit are a bit ethereal, but somehow it translated into physicality in the second half in order for the Nets to claw its way back to within four points with two-and-half minutes left in the game. But, on the real, Atkinson believes it was the Nets’ defensive effort in the second half that helped. 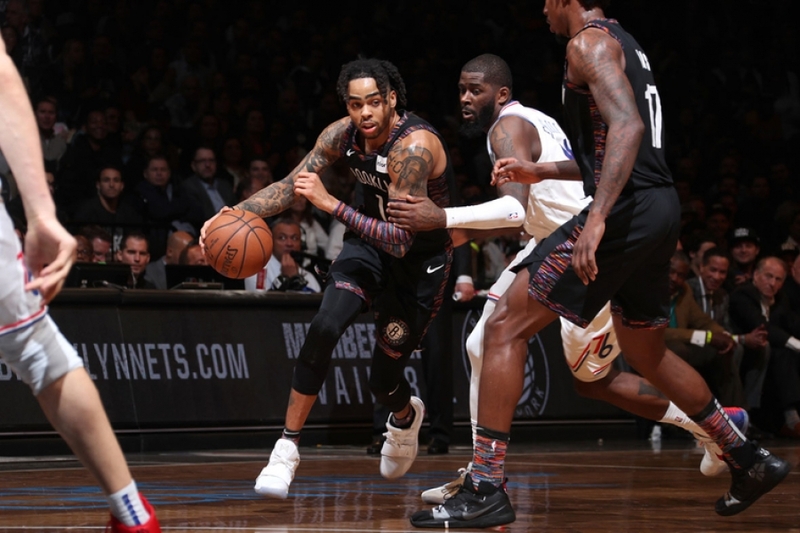 However, as Atkinson said, in the second half, the Nets started fighting through screens on defense and attacking switches on offense, which ultimately helped the Nets to chip away at their deficit. Seeing the Nets storm back to come within four points of the Warriors with two-and-a-half minutes left to play was a bit worrisome for Golden State’s head coach Steve Kerr, but in the end, he breathed a sigh of relief and gave a tip of the hat to the Nets. For the Nets, Allen Crabbe scored a season-high-tying 25 points (9-of-19 FG, 6-of-11 3FG, 1-of-2 FT) with seven rebounds and two assists in 34 minutes in the Nets’ loss. Crabbe’s six made 3-pointers marked a season-high and matched the Nets’ season-high set by Spencer Dinwiddie’s six made threes on Friday vs. Utah. Other Brooklyn Nets scoring leaders were Dinwiddie who posted 21 points with eight assists in 31 minutes. DeMarre Carroll recorded his second double-double of the season with 15 points and a season-high-tying 11 rebounds in 34 minutes. Hollis-Jefferson posted his first double-double of the season. He totaled 16 points, a game-high and season-high 12 rebounds and a season-high five assists. Caris LeVert came off the bench and tallied 13 points with four rebounds, four assists, and two steals in 22 minutes. For the Golden State Warriors, Stephen Curry was a little more aggressive because of Kevin Durant’s absence. He scored 39 points and 11 rebounds before fouling out of the game. Draymond Green had eight assists for the Warriors. Up next, the Brooklyn Nets will play the Cavaliers in Cleveland on Wednesday. The Nets next home game will be against the Portland Trail Blazers on Friday, November 24, 2017, at 12 noon at the Barclays Center. LaVar Ball tells Kristine Leahy to stay in her lane; media nixes Paul George for All-NBA team; Will the Nets fate be determined by a health Jeremy Lin? During an interview with CBS This Morning, Gisele Bundchen, wife of New England Patriots quarterback Tom Brady, stated that her husband has suffered concussions over the years as recently as 2016. Eyebrows were raised after this declaration because Tom Brady was never listed on any of the injury reports as having any type of head trauma. The NFL confirmed this and planned to contact the Players Association to collect more information. Did the Patriots cover up injuries to Tom Brady, their star quarterback? Could we find more cases like this in the NFL? Seattle Seahawks head coach Pete Carroll publicly stated that Colin Kaepernick is being considered as an option for a backup quarterback to Russell Wilson. While no final decision has been made, Seattle Seahawks defensive lineman Michael Bennett said that Seattle would be the perfect place for Kaepernick. Would Seattle be an ideal place for Kaepernick? Still, without a football home and in lieu of the recent signings of other quarterbacks, does this further the notion that Kaepernick is being blackballed? Will the Golden State Warriors Suit up for Court? A Spurs fan is suing the Golden State Warriors' center Zaza Pachulia and the Warriors organization alleging that Pachulia's play against San Antonio Spur star Kawhi Leonard which caused an ankle injury that left the Spurs without their star for the remainder of the game. Some believe the injury allowed the Warriors to mount a comeback which propelled them to victory. The suit states that Pachulia's play “devastated the quality of the Spurs' chances of being competitive" and diminished "the value of the tickets purchased by plaintiff subsequent to their purchase." Does this fan have a point and do you think this case would move forward? Certain members of the media have responsibility for selecting the All-NBA teams and the NBA MVP selection. Indiana Pacers guard Paul George was left off all of the All-NBA team designation and LeBron James is number four on the MVP list. Who are these media people and what are they thinking? Should decisions related to players’ compensation be in the hands of the media? Is Lonzo Ball a Slam Dunk for the Los Angeles Lakers? Will the Los Angeles Lakers and Magic Johnson have the magic to get the second pick in the 2017 NBA Draft? Is it a given that the Lakers will select Lonzo Ball with the second overall pick? Kristine Leahy, stay in your lane! LaVar Ball vs Kristine Leahy- Never one to shy away from controversy, LaVar Ball, father of NBA prospect Lonzo Ball, once again finds himself in the middle of a media firestorm after an appearance on The Herd with Colin Cowherd. During the interview, Ball refused to speak to Cowherd's cohost Kristine Leahy except to tell her to stay in her lane and to reiterate that he would only address Colin Cowherd. Leahy has since gone on record to state that she has received death threats as a result of the on-air altercation. Do you believe Cowherd’s reason for not addressing Lavar Ball’s sexist behavior? We are another step closer to a Mayweather/McGregor fight. UFC President Dana White declared that UFC fighter Conor McGregor's side of the deal is done and White is currently working with Mayweather's team on the remaining terms. Is this fight going to happen? Congratulations to Rondae Hollis-Jefferson; his alma mater The Chester Community Charter School, named its gym The Rondae Hollis-Jefferson Gymnasium in his honor. Speaking of the Nets, what can the team do to upgrade its roster for next season? Meanwhile, what are some names or positions that Phil Jackson should be thinking about as the Knicks prepare for the draft? Nearly every week, we put someone on the bench, and this week, Mike McDonald puts Blue Jays outfielder Kevin Pillar on the bench for using a homophobic slur against Atlanta Braves pitcher Jason Motte. Pillar apologized profusely, but the Blue Jays still suspended Pillar for two games. Pillar will forfeit approximately $6,066 of his $555,000 salary, with the money donated to charity. 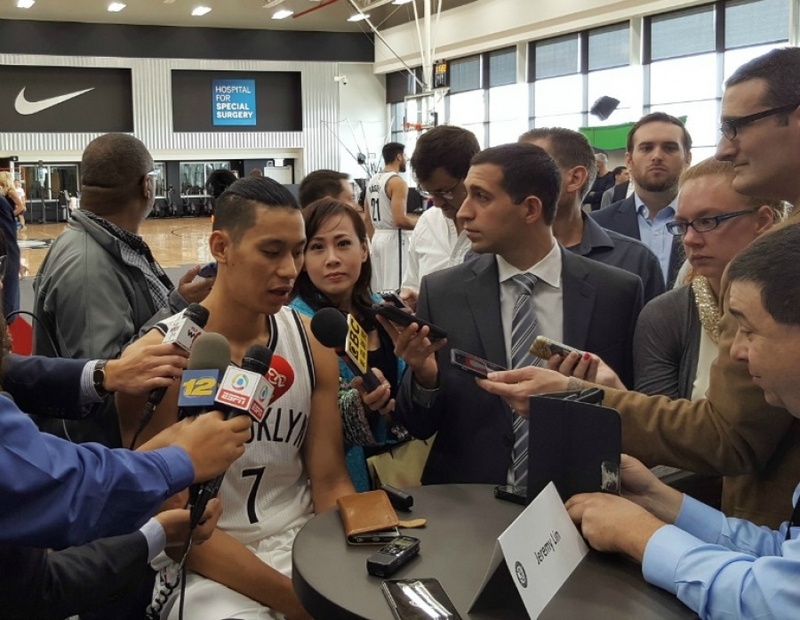 "That's the sign of our growth as a team," Jeremy Lin said responding to a reporter's question after the Houston Rockets beat the Brooklyn Nets 106-96. "We probably wouldn't have done that earlier in the season. We probably would have folded and fell and given away the game. We regrouped, took their hit, then counter-punched, and we were able to get the win." Jeremy sees that maturity was a factor in the team's ability to get the win over the Brooklyn Nets tonight. "We got some stops when we needed to, but we made it tough, we made it tough for them." Jeremy sees that he is blending in and believes that the team is really blending. 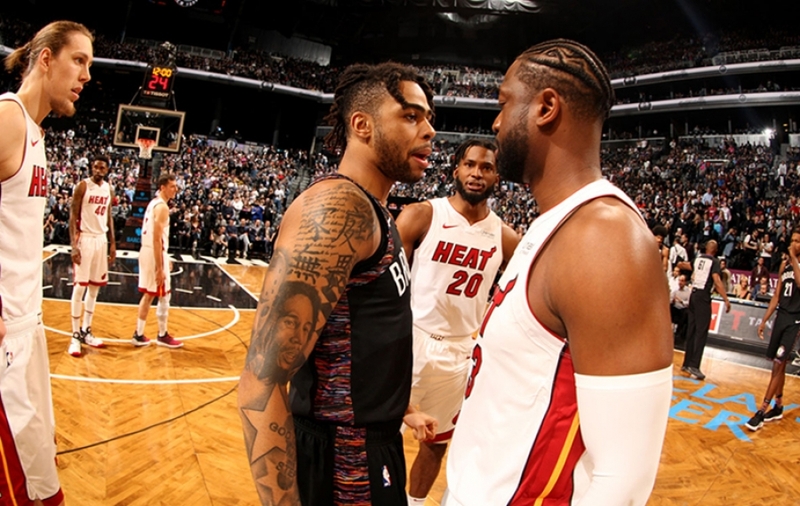 "The past couple of weeks, we've shown flashes of in my mind, of being a really, really good team whether it's a game against OKC or Golden State or games like that," he said. "Today was an uglier one. We turned the ball over; we didn't play as well as we normally did, but we were able to get the win so we're thankful for that." And, it's always good when you can get a win on the road. "Any win on the road is a great win for us," he responded. "We want to keep pushing and try to build a winning streak; we have a favorable schedule coming up." What has been Jeremy Lin's biggest adjustment coming from the New York Knicks to the Houston Rockets? "I think it's just different, because it's a different system and I'm in a different role; being able play alongside a huge and elite playmaker in James Harden and learning to mesh with him and we're getting there and I'm really happy with where we're at right now and I'm happy with where our team is in terms of how we're playing." 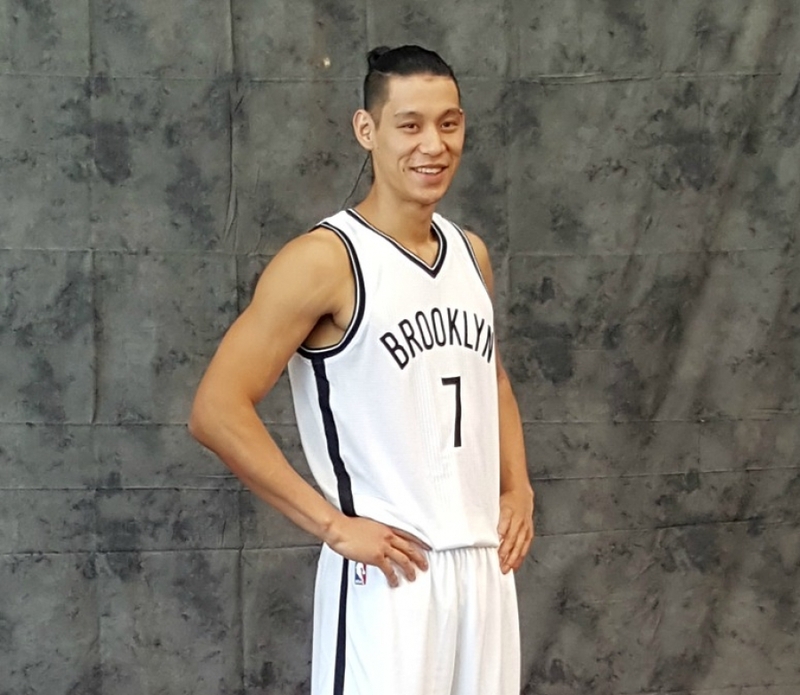 So what does Jeremy Lin miss about New York City? "I miss the fans, just like how crazy the Garden (Madison Square Garden) would get last year, how loud and awesome the experience was, yeah, that's what I miss most." Has Jeremy Lin experienced the level of excitement in other NBA arenas like the Linsanity at Madison Square Garden in New York City? "Here and there, here and there," he said. "Sometimes it will get crazy and stuff. 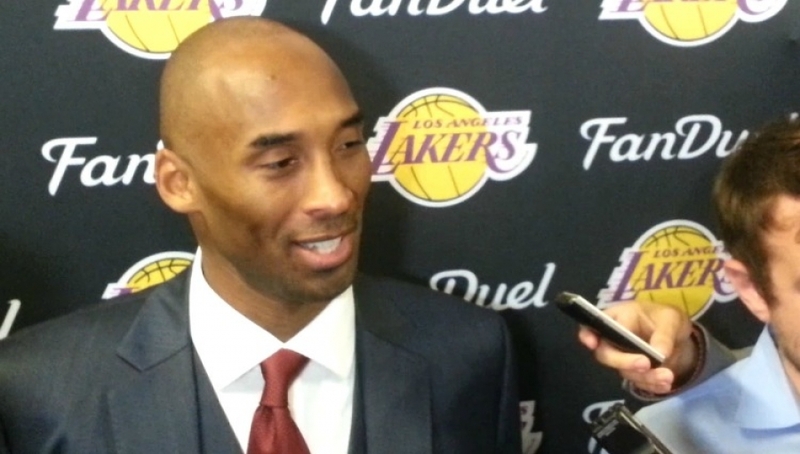 I think our last home game against OKC back home that was insane; we had the Toyota Center rocking, so, it was cool." So is it less pressure on him being in a smaller market. "Less pressure, less spotlight, so it usually means less pressure," Jeremy said. What will be the point of success for this team in making the playoff and going forward? "I think consistency and I think it's attention to detail on the defensive end," he responded. "I think offensively we're okay. Offensively we'll struggle here and there but, I think we've shown we're an explosive offensive team and I think our biggest improvements can come on the defensive end. Has Jeremy got over the trades? "I just hate to see anybody leave, but in terms of the trade in and of itself, it's not for me to really, really comment, it kind of management's job," he responded. "It was tough for me to see my teammates leave, but we have new guys coming in, I just met a few of them, it's definitely time to turn the page and move on." In this episode, the What’s The 411Sports team of Keisha Wilson and Mike McDonald are talking about and asking lots of question about recent sports news and events. Congratulations to the Basketball Hall of Fame Class of 2016: Allen Iverson, Shaquille O’Neal, Sheryl Swoopes, John McClendon, Darell Garretson, Tom Izzo, Zelmo Beaty, Yao Ming, Jerry Reinsdorf, and Cumberland Posey. Five members of the US women’s national soccer team including notable names like Hope Solo and Alex Morgan have filed a wage discrimination action against the US Soccer Federation. The action was filed with the Equal Employment Opportunity Commission (EEOC) claiming that while the women’s team generated approximately $20 million more in revenue than the men’s team, the women were paid about 25% less than their male counterparts. San Francisco 49er’s quarterback Colin Kaepernick met with John Elway, executive vice president of football operations and general manager of the Denver Broncos, signaling that Kaepernick could be headed to Denver. Would this be a good move for Colin Kaepernick? After a 54-regular-home-game win streak, the bubble burst and Steph Curry and the Golden State Warriors lost at home to the Boston Celtics 109-106 on Friday, April 1 (no April Fools joke). NCAA Men’s Basketball tournament definitely put the “madness” in March Madness; at the buzzer, Villanova beat UNC 77-74. Los Angeles Clippers forward Blake Griffin returns to lineup as the Clippers face the Washington Wizards at the Staples Center. It will be the first time that Griffin will play since Christmas after a tearing his quadriceps. His absence was further extended after a hand injury due to an altercation with the team’s assistant equipment manager which garnered a four-game suspension. And, Griffin’s quadriceps isn’t completely healed. Is this a good move for Griffin to play before complete healing? 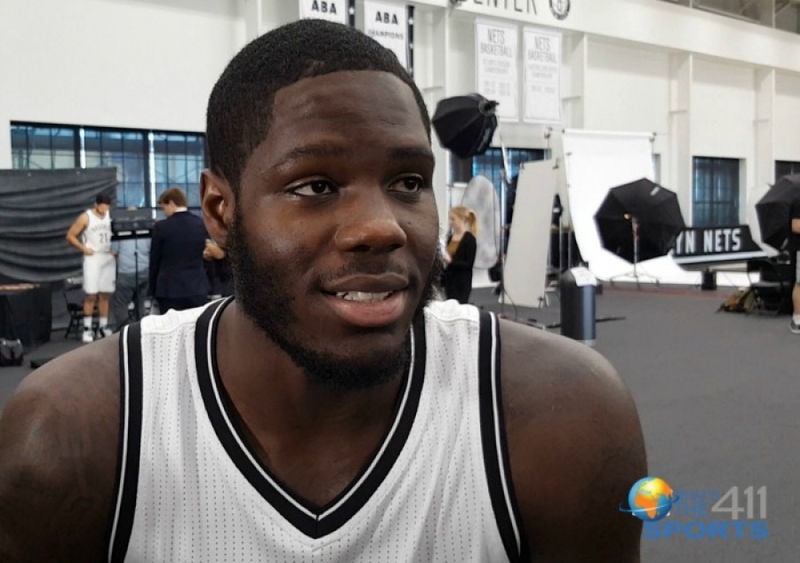 Who on the current Brooklyn Nets team will be back next season? 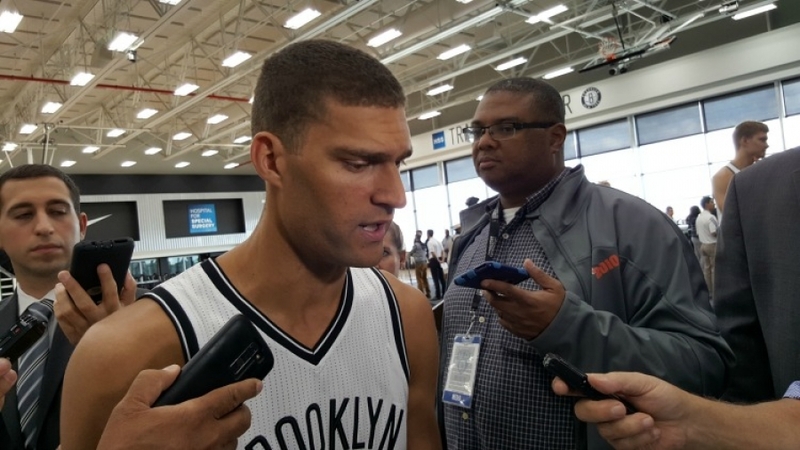 Both Keisha and Mike would like to see the return of Brook Lopez, Thaddeus Young, and Rondae Hollis-Jefferson. However, Keisha would also like to see newcomer Sean Kilpatrick in a Brooklyn Nets uniform next season. The YES Network and Comcast are at war. Can the New York Mets get back to the World Series, and do the New York Yankees have a chance to win the AL East? New York Mets pitcher Matt Harvey is on the bench for his childish behavior towards the New York sports media following the New York daily newspapers' reports on his urinary tract issues.